Adelaide’s own ethereal songstress Jenn Barrett has been on the upward climb since her debut album Curve Of The Earth. The follow up album Water was a total reinvention of her sound from acoustic folk to electronic soundscape pop. 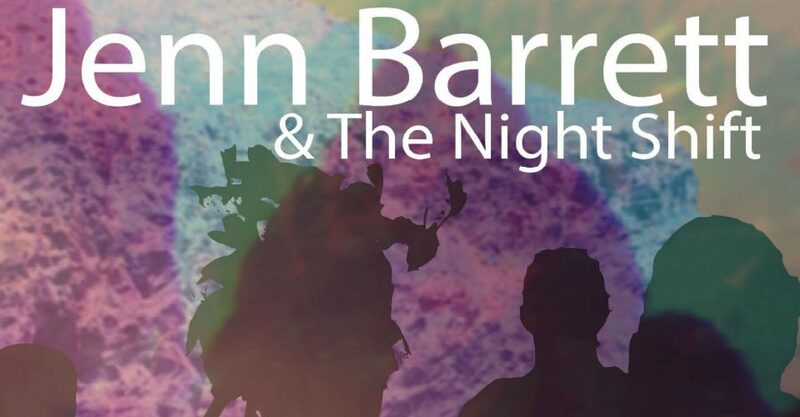 Now, with the addition of a new line up of John Meegan on keys, Damien Williams on guitar, Nigel Walters on bass and Craig Fenwick on drums collectively titled Jenn Barrett & The Night Shift, Barrett’s third incarnation Upon A Hill offers nine tracks of ‘80s-influenced progressive art rock and is due for release this April. The album starts with the recently released single Arctic Life introducing the sonic foundation for the keyboard themed album. Featuring a song structure not too far removed from that which might appear on the album’s predecessor Water. A simple and happy sounding ‘verse verse’ structure with what leads into a short refrain-like chorus section (at least harmonically). Tremolo effects and solo melodies are notable guitar features throughout and overall pop sensibilities that makes this song the stand out single of the release. The following tracks mark for some for some of the most sophisticated music released by Barrett to date. Storm offers a moving and passionate drama nestled in the clean guitar intro and strikingly into the verse riff blending piano and a compressed over-driven guitar harmoniously. The chorus features a line progression synonymous with many heavy rock tunes and gives the track an edge hitherto unknown to the audiences of Barrett in past years. Then there’s Japanese Garden which pushes the envelope even more, giving the listener a taste for the exotic. Based in G minor, the melody flirts with the flattened fifth hinting at a darker diminished sound. Moving diatonically to D minor and then to A flat major borrowing from Phrygian/Lochrian, the harmony gives the sensation of hair standing on the back of your neck. Heavy use of toms and kick drum here gives somewhat of a tribal flair to an otherwise complex blend of sounds. Wolf commences with synth samples redolent of a ‘90s Deep Forest album but is soon enveloped by a beautiful piano line and the subtle approach of the bass. Natural minor harmony sways in 6/8 waves with synth pads and electronic piano creating an atmospheric moonlit backdrop. Also with a hint of cheeky blues inflections in the vocal as Barrett swaps the minor tonic for a major as the verse progression turn around. Emerald Medicine is akin to Wolf in meter and harmonic feel but features the guitar a little more. The guitar drives the song home with the Gilmore-esque lines and a tone reminiscent of Alex Lifeson. Today I Am A Tree is a nice little song about growing wiser and is one of the more upbeat tracks on the album. Fenwick assists the propulsion the song landing accents on the almost every off beat of the bar settling to a homely rock beat for the chorus – great energy. Vintage electric piano tones and changes in Forest are evocative of ‘70s rock and early Tull while playful vocal melodies atop the harmony suggests a Kate Bush vibe. Guitar cuts in in the pre-chorus and the harmony takes a dark and heavy shift similar to Japanese Garden. River Runs Red In Impossible Ways exhales the drama built up from previous tracks in a song moderately embedded in major. The albums finale starts with an electronic soundscape of minor themed suspense laced in synths and washing percussive elements. Modulation washes the windswept harmony in a slightly seasick way before cracking thunder samples shock through. Piano introduces the harmony to the song with a shifting key centre; from what sounds like home in D major, moving to the three-minor and then shifting to the four and five of F major. The progression vamps in this way moving through minors and secondary dominants bringing the harmony home on a staircase of major chords giving a determined and triumphant feel – something you might find on an early Seal album. Upon A Hill takes you through a journey briefly reminding listeners where Barrett once was and how far she has come. While all of her albums have their own unique charm and cater appropriately to many who might listen to each genre, with every album there has been a significant increase in musicianship and sophistication within the harmony and arrangement to her songs. Partly thanks to the musicianship of the gentlemen in the Night Shift the next era of Barrett’s work has been realised and who knows where she’ll take it next? An eclectic yet accessible assortment of sincere art rock songs devoid of grandiloquence and performed with character. 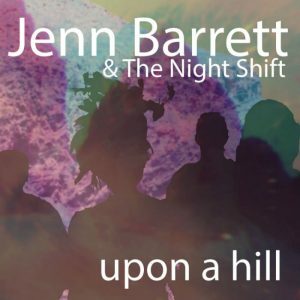 Jenn Barrett & The Night Shift release Upon A Hill at The Mill, 154 Angas St, Adelaide from 7pm on Thu 18 April. Book at TryBooking. Click HERE to purchase your ticket.